1- Eventually, and all of a sudden, the USA has remembered the crimes of torture committed in Egypt; as if these crimes were something surprisingly new or occurring only recently. So many articles have appeared in the West media about crimes of torture committed in Egypt, as per human-rights organizations reports, and such topic has eclipsed other pieces of news related to Egypt in international media. It is clear that the reason behind this is the mutual defiance and threat between the USA and North Korea; because the current Egyptian pharaoh, President Abdel-Fattah Al-Sisi, has strong military relations with North Korea, and this infuriates Donald Trump and the Congressmen, who have made cuts from the annual American military aid granted to Egypt as per the Camp David Accords between Egypt, Israel, and the USA. Within a speech delivered by a female American representative in the Security Council, she talked using an aggressive about those who cooperate with North Korea. These countries include China, Russia, and Iran, who are not submissive to the USA. Egypt, ruled by Al-Sisi, is now frowned upon by angry American politicians and congressmen, as per this speech in the Security Council. 2- Resisting the crime of torture is part and parcel of our Quranist and Islamic peaceful intellectual endeavors; we have written a lot about this topic, because we are against all types of injustices and we support the weak parties on Earth in all eras and locations, and because torture is a type of oppression inflicted against weak persons. 3- Within a Quranist viewpoint, torture is a crime directly linked to political tyranny and religious tyranny, within countries where dictatorship is intertwined with clergymen. 4- This article is the first among a series of articles on the crime of torture; we tackle herethe environment in which torture is flourishing. 1- When clergymen dominate any society, religious freedom is never available, whereas religious wars/conflicts, inquisition-like trials, and incarceration/killing of 'heretics' or 'infidels' flourish as per penalties stipulated and exacted by clergy. Islam (i.e., Quranism) is against all types of clergy; dominating clergymen usurp God's authority by establishing a doomsday to judge people before the Day of Judgment takes place; this is utter blasphemy and self-deification, sins often committed by clergymen. 2- Within real Quran-based countries that apply real Islam, the Quranic notion of "There shall be no compulsion in religion..." (2:256) is applied and practiced. Citizenship in these countries is based on Islam in terms of peaceful behavior; each peaceful person who lives there is a citizen in this Islamic country, who enjoys unlimited and unrestricted religious freedom and justice, equality, and other human rights. This was the case of hypocrites who were citizens inside the Quran-based Yathreb-city state led by Muhammad; they had unlimited political freedom and religious freedom to express opposition against the rule of Muhammad and against Islam itself, to the extent that they had harmed Muhammad and ridiculed the Quran itself, and they repelled people away from God's Path (i.e., the Quran) and built harmful mosques where they conspired against early believers. Muhammad and early believers in Yathreb, as citizens, never stopped these activities of these peaceful non-violent hypocrites and merely avoided them, since the hypocrites carried no arms and weapons at all to attack the early believers. 3- Apart from hypocrites who were citizens in the Yathreb city-state, there were believing companions in terms of adhering to peaceful demeanor, but their religious life included worshipping at deified and sanctified mausoleums/tombs, practicing divination, drinking wine, and gambling, deeds prohibited in the Quran. Yet, Muhammad never stopped them at all; his mission was confined to delivering the Quranic message. The following verses are among the ones revealed shortly before Muhammad's death, and in these verses, we notice that God addresses directly the peaceful believers who committed these sins: "O you who believe! Wine, gambling, mausoleums, and divination are abominations of Satan's doing. Avoid them, so that you may prosper. Satan wants to provoke strife and hatred among you through intoxicants and gambling, and to prevent you from the remembrance of God, and from prayer. Will you not desist? Obey God and obey the Messenger, and be cautious. If you turn away - know that the duty of Our messenger is clear communication." (5:90-92). 4- The responsibilities of any State do NOT include guiding citizens to Paradise; (mis)guidance is an individual responsibility and a personal choice as we infer from the Quran; see 10:109, 17:15, 27:92, and 39:41. Besides, God is the Eternal Judge Who will judge all human beings and settle their faith disputes and differences; see 39:7 and 39:46. 5- This absolute religious freedom within a Quran-based country negates the existence of any type of clergy; there is no clergy in Islam, and Muhammad was NEVER a clergymen or a priest inside the Yathreb city-state, as he never took wages or fees from people and he was never responsible for guiding others, as his sole mission is to convey God' message. God has told Muhammad the following: "Their guidance is not your responsibility, but God guides whoever is willing to be guided..." (2:272). This verse means that any persons who seek guidance will be granted it by God. In many verses, God has told Muhammad that he is merely a messenger whose mission is to deliver the Quranic message and that he was never to control people nor to guide them, as this was never part of his responsibility; see 88:21-26, 6:66, 6:107, 10:108, 17:54, 25:43, and 42:6. God has commanded Muhammad to say the following to his people: "Say: "O my people, work according to your ability; and so will I. Then you will know. Who will receive a humiliating punishment, and on whom will fall a lasting torment." We sent down upon you the Book for the humankind in truth. He who follows guidance does so for the good of his soul. And he who strays in error does so to its detriment. You are not their overseer." (39:39-41). Hence, Muhammad avoided them and let them worship whatever they did beside God, as he and they wait for God's Judgment of all human beings on the Last Day; see 6:135 and 11:121-122. 6- Consequently, no torture was ever practiced inside the Yathreb city-state led by Muhammad, as all its citizens enjoyed absolute religious freedom. This was the case as per the Quran, whereas Muhammad and early believers with him in Mecca were severely persecuted. In contrast, tolerance inside the Yathreb city-state was unmatched and the religious freedom there was unparalleled elsewhere. This freedom was the main factor that led Arabs in Arabia to convert to God's religion in multitudes; i.e., this means they entered into peace or adhered to peaceful behavior. This was shortly before Muhammad's death, as they rejected Islam soon enough by committing the heinous crimes of Arab conquests. 1- Islamic Shura consultation within Quran-based rule in a given country simply means direct democracy, whose Islamic principles include the following ones. 1/1: All rulers must be held responsible before the citizens/ the nation, because Only God is never to be asked about His decrees and deeds: "He will not be questioned about what He does, but they will be questioned." (21:23); hence, tyrannical rulers who hate to be impeached, held responsible, or questioned by the citizens are deifying themselves, a sin punishable in Hell as per the Quran, for those who die without repentance. 1/2: Muhammad himself (though a prophet inspired by God) as a leader of the Yathreb city-state has been commanded in the Quran to apply the Islamic Shura consultation; thus, those who hate to apply it are placing themselves above Muhammad and commit the sin of self-deification. Thus, all tyrants commit the sin of self-deification either explicitly or implicitly. 2- Democratic constitutions make peoples/nations or citizens as the source of all authorities who deputize them to representatives and deputies (e.g., within parliaments), and in contrast, Islamic Shura consultation never use any types of representatives, as it is direct democracy of citizens who apply self-rule and whose views are taken into account within general assemblies as the case with the Yathreb city-state (see 24:62-64), and we have authored a detailed book about this topic, published on our website. 3- When Muhammad led the Yathreb city-state, he did not derive his authority from God, but rather from citizens of Yathreb. This is why God has commanded him to be gentle with them, to pardon them, and to consult them in the conduct of affairs, as these affairs were theirs as citizens, and if they would have dispersed from around him if he were harsh with them, he would have lost his authority and his city-state; they were the source of all authority as citizens. We infer all this from the following verse: "It is by of grace from God that you were gentle with them. Had you been harsh, hardhearted, they would have dispersed from around you. So pardon them, and ask forgiveness for them, and consult them in the conduct of affairs. And when you make a decision, put your trust in God; God loves the trusting. " (3:159). 1- As Muhammad has been commanded as a leader to be gentle with others and never to be harsh or hardhearted as he derived his authority from people, likewise, we find the same in modern democracies, where representatives of authority are servants of the nation and are eager to please citizens so that they retain their posts; they can be impeached, questioned, held accountable and responsible, dismissed and fired from their posts, tried in courts, and penalized when proven guilty who compromised their responsibilities, as this is an accusation of high treason. 2- In contrast, tyrannical rulers are harsh and hardhearted and use the military armed forces, security forces, and policemen to oppress the citizens. Tyrants need to practice torture as a necessary measure to impose their dominance and control. This crime is committed not only to take revenge from peaceful and non-peaceful opposition figures who oppose tyrants in words and deeds, but also (and this is more important to tyrants) to deter and intimidate beforehand any possible persons who would think to join the opposition movements. Tyrants cling to authority or the throne because this is a matter of life and death; their very existence is directly linked to authority, as they are either to remain alive and enthroned or to lose their lives, thrones, and security. In order to feel ostentatiously and overtly secure, tyrants practice the crime of torture routinely and randomly, making sure news of torture and cries of tortured victims reach the citizens to intimidate them; thus, tyrants assume that when they torture tens of thousands of persons, this will terrorize and intimidate tens of millions. Tyrants assume wrongly that torture might silence citizens. 3- In order to practice torture while feeling secure and enjoying impunity and to go on with their tyranny and corruption, tyrants require corrupt easily bribed clergymen who support them in media and houses of worship. Thus, clergymen have their share of authority, power, and clout. The masses (who are the gullible and deceived majority of people anywhere on Earth) are easily influenced by the clergymen who enslave them. Thus, when the vast majority of citizens obey clergymen, they are obeying the tyrants as well. This is why tyrants care for clergymen and readily punish those reformers and reformist thinkers who put to question clergymen and religious notions, so that the masses would have their opium and remain in 'blissful' ignorance. When the masses are ignoramuses and knew little about Quranism (i.e., real Islam) and have distorted, twisted religious notions related only to earthly, man-made religions propagated by corrupt clergymen, they are easily controlled an ridden by tyrants in total submission, while bearing patiently with so many injustices. 4- Hence, Islam (i.e., Quranism) poses a veritable threat to tyrants; the testimony of (There is no God but Allah) entails that no real believers are to deify/sanctify any (dead or living) mortals; Quranic sharia of direct democracy of Shura consultation and verses about how Muhammad led the Yathreb city-state and preached the Quran, within absolute religious freedom for all people, undermine tyranny anywhere. This is why tyrants fear very much this verse about God's addressing people to use iron and power to uphold justice (and remove tyrants from their thrones), as this is the supreme value/principle of all messages of God: "We sent Our messengers with the clear proofs, and We sent down with them the Book and the Balance, that humanity may uphold justice. And We sent down iron, in which is violent force, and benefits for humanity. That God may know who supports Him and His messengers invisibly. God is Strong and Powerful." (57:25). This is why tyrants make sure that awareness of real Islamic/Quranic facts is never to be spread among their nations; this will inevitably lead to tyrants being deposed by force. 5- This is why the very first step of democratic transition in a given country must begin with imposing (by laws and within constitutions) absolute religious freedom, and this will be followed by freedom of speech and expression as well as freedom of thought and creativity, arts, etc. Tyrants ride and control clergymen who in their turn ride and control gullible citizens. These clergymen of the Muhammadans are embodying thick layers of ignorance as their earthly, man-made religions are based on myths and balderdash that are easily criticized, refuted, and undermined when put to question and when discussed freely. This is why clergymen need the arms and power/authority of tyrants to impose their myths on the gullible masses and to protect the religious mythology from being criticized and questioned. Thus, when all freedoms are established within a given society, clergymen will vanish and will no longer protect tyrants who ride/control them with money and a measure of authority/power given to them by tyrants. When clergymen are no longer in control of media and hearts/minds of people, tyrants (after clergymen) will lose ground and awe and will vanish as well. 6- Within our endeavors to raise awareness of real Islam (i.e., Quranism), our person and the rest of Quranists are being opposed by both Middle-Eastern tyrants and clergymen of the Muhammadans; both Shiites and Sunnites, who hate each other, are united when it comes to oppose Quranism and to impose media blackout on Quranists even inside the USA! 7- The USA is supposed to be the country of freedom; yet, it is also the country of dollars and lobbies, which are centers of political influence where wealthy lobbyists influence political life using as much money as they could to defeat any competitors and foes, within open market for all lobbies of different types. Within such a state of affairs, we, poor Quranists, are like orphans who receive nothing from the sumptuous tables of power that belong to the wicked worshippers of Mammon (i.e., money). Even the KSA, the source of Wahabi religious terrorism worldwide, is presenting itself to the USA as a kingdom that 'fights' terrorism and the Saudi lobby has its influence now inside the USA! It is not important for Saudis that the American citizens might believe them or not; American citizens rarely care to know about the world outside the borders of the USA. What is important to the Saudi lobby inside the USA is to buy and win to its side the influential and powerful people; the KSA has succeeded so far in such endeavors! 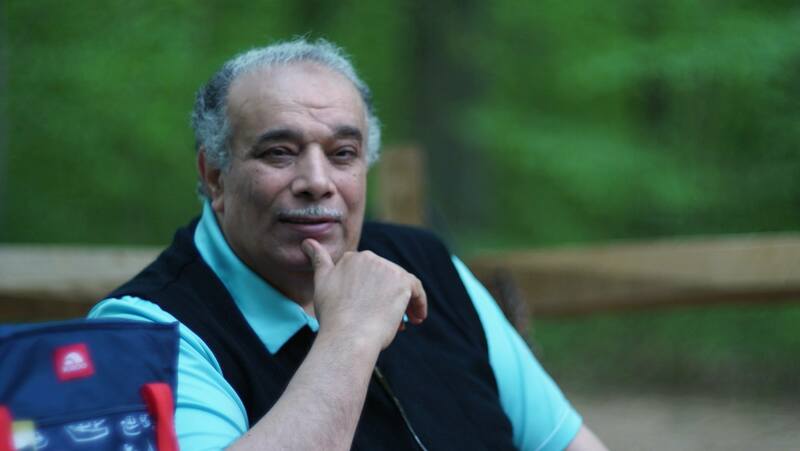 And among those who pay the heavy price for this ghastly state of affairs is our person, Dr. A. S. Mansour, an American-Egyptian Quranist thinker and writer who suffers media blackout; we are screaming in the wilderness calling for religious reform and for how to peacefully and intellectually (with minimum cost) defeat Wahabi religious terrorism that threaten the USA and the West, and yet, nobody cares about us, except or few appreciative persons who feel sorry for us!